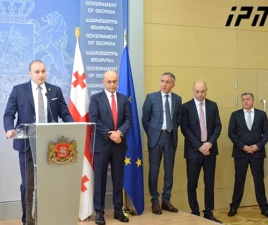 TBILISI, DFWatch–Billionaire Bidzina Ivanishvili is making a comeback in politics and will head Georgia’s ruling party, Georgian Dream. The move comes amid ongoing tension within the party’s ranks. “On behalf of myself and my team, I personally asked the party’s founder to lead the party. 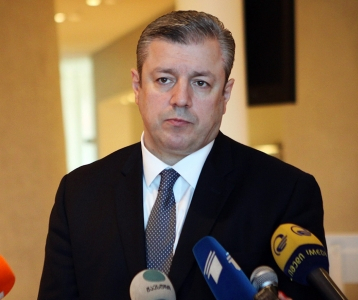 I am glad that Mr Bidzina Ivanishvili has agreed,” Prime Minister Giorgi Kvirikashvili said at a press briefing on Thursday. Formally, Ivanishvili’s re-election as chair of Georgian Dream, a party he founded back in April 2012, needs confirmation from a party convention in early May. However, his comeback is taken for granted as he has retained overwhelming sway over the party ever since his formal resignation in 2013. When Ivanishvili stepped down as prime minister and also as head of GD he said that he wouldn’t return to politics unless in case of ‘the Second Coming’. The political opposition swiftly seized on this quote as a proof of a deep crisis inside the Georgian Dream. “This is a political collapse of the Georgian Dream as a political party,” said Davit Usupashvili, former speaker of parliament and Ivanishvili’s former ally who now heads a small opposition party. 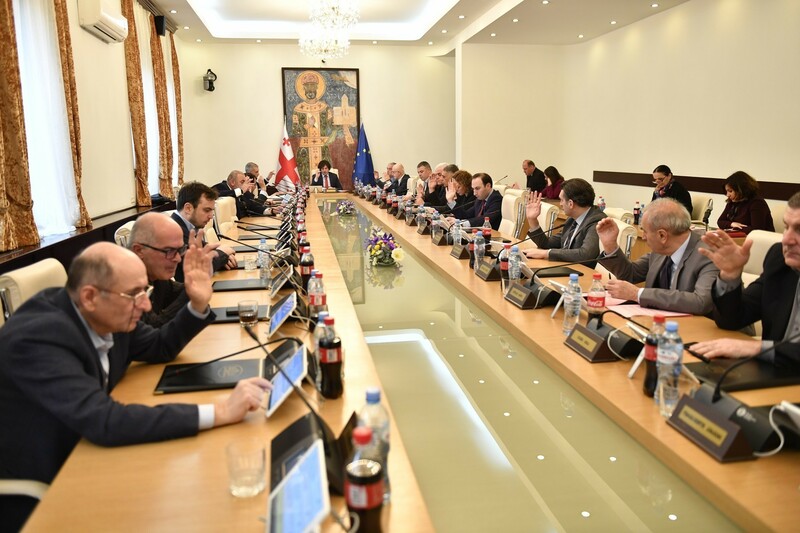 The decision seems to have been aired at a meeting of the GD political leadership on Thursday morning, which was attended by Ivanishvili. The agenda of the meeting has not been made public, but it is believed that it was made necessary by the bitter row between GD’s parliamentary faction and perhaps beyond, involving the PM and the party’s regional leadership. 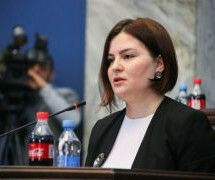 The confrontation became public in early April when MP Gedevan Popkhadze snapped at the faction leadership over its support for electing the outspoken anti-cleric activist Ninia Kakabadze as member of the Public Broadcaster’s board of trustees. Popkhaze said that it is immoral to support a person who publicly insults the Georgian Church and Patriarch Ilia II. Soon, Popkhadze was joined by other MPs, who criticized the speaker of parliament and the leadership of the GD faction in the parliament. 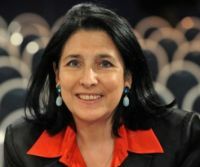 It is believed that the root of the conflict is a fundamental conflict of interests between, on the one hand, old GD members who joined the party in 2011-2012 while it was still striving to get into power, and on the other hand, the ‘new faces’ who were installed in high positions prior to the 2016 parliamentary elections.